The New York Yankees have officially acquired LHP J.A. Happ from the Toronto Blue Jays in exchange for OF Billy McKinney and INF Brandon Drury. Fans may feel uneasy about parting ways with Drury – a 25 year old utility player who was slashing a .294/.403/.447 this season in Scranton/Wilkes-Barre(AAA) – but a veteran lefty such as Happ fills a much bigger void in the team than Drury does. For one thing, the Yankees aren’t exactly lacking infield depth. Besides their normal starters Greg Bird, Gleyber Torres, Didi Gregorius, and Miguel Andujar, the Yankees still have Neil Walker, Tyler Wade, Tyler Austin and Ronald Torreyes within their organization. In the 18 games where Brandon Drury was called up to play this season, he only recorded a .176/.263/.275. It was evident that there wouldn’t be a starting position for Drury with the unexpected success of Miguel Andujar, who currently posts a .294/.328/.500. The same goes for Billy McKinney – between Clint Frazier and Yankees’ #2 prospect Estevan Florial, there was no spot for McKinney in the foreseeable future. How has Happ performed as of late and how will he influence the New York Yankees? Despite J.A. 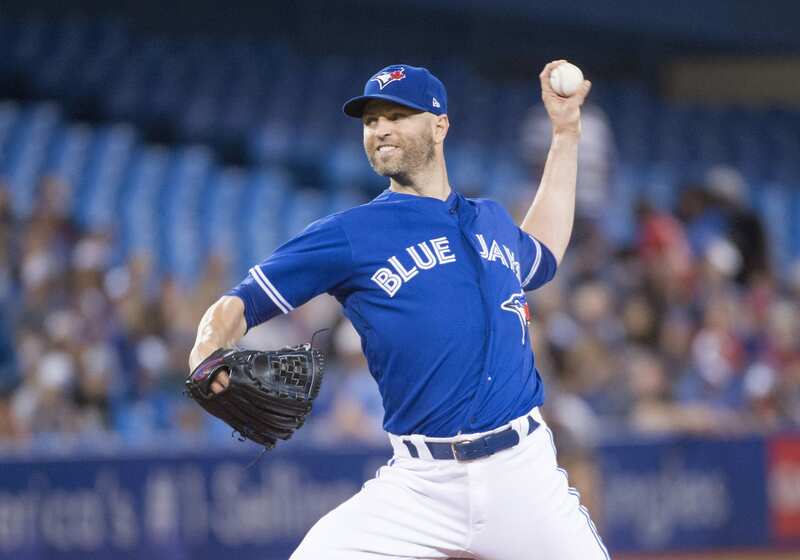 Happ’s lousy starts as of late, he has been one of the better starting pitchers available on the market. As of now, he sits with a 4.18 ERA. That number can be deceiving though – this season, he has a 9.82 ERA against the Yankees. When you remove his statistics against the Yankees this season, his ERA is 3.80 against all other teams. In just his last 7 starts, he posted a 6.03 ERA – before those 7 games, his ERA was sitting at an 3.48. A change of scenery can also prove to be advantageous for this veteran southpaw. This season, he recorded a 5.22 ERA at home in the Rogers Centre versus a 2.60 ERA on the road. Perhaps his most exciting stats are against the Red Sox. In 2 starts this season against Boston with 10.2 innings pitched, he posts a 0.87 ERA with a 0.938 WHIP and 13.5 K/9. Over his whole career? A 2.98 ERA in 19 games with 105.2 innings pitched. In 9 games and 46.1 innings pitched in Fenway Park, he averages a 2.91 ERA. The Yankees are scheduled to play the Red Sox 10 more times this season, 7 of them in Fenway. This lefty who dominates in Boston could be the missing piece the Yankees needed in the rotation. Although he is 35-years old, he is having one of the best years of his career. For the first time in his 12-year major league career, he was selected to the All-Star Game. Prior to the mid-season break, he was the only pitcher in the MLB this season to have 4 starts with 8-plus strikeouts and zero walks. From his career averages, his GB% is up, his BB% and FIP are down, and his K% and SwStr% are at a career high. Regardless of J.A. Happ not being one of the most appealing starting pitcher names on the market, he fits the Yankees’ need without the hefty cost. Cashman has upgraded both the starting rotation and the bullpen without trading away a single top 10 prospect. Fans can be confident in the future of the organization, as well as the Yankees’ chance in the postseason this year. Rutgers Enters The Season With Options At Quarterback – Giovanni Rescigno?